I’m an X-Men fan, so obviously I couldn’t pass up reading this book. Think military X-Men battling rogue X-Men, but the ‘good’ X-Men are under government regulation – the bone of contention in Captain America: Civil War – and are a secret. 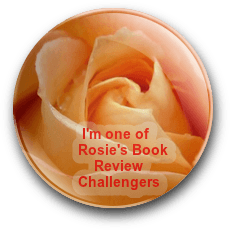 Scarlett is a great protagonist – an out of control, rules-be-damned, free-spirited teen who learns a hard lesson in responsibility and consequences. But once she commits to something, she’s in it wholeheartedly. I thoroughly enjoyed her character arc. Clearly, the author did extensive research on West Point, and it makes the story feel more authentic. Nearing the last quarter of the book, I assumed there would be a sequel, but after a no-holds-barred climax, I was pleasantly surprised to see this novel is a standalone. All questions are answered, and no plot lines are left dangling. 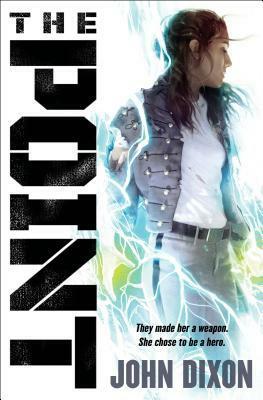 Although The Point doesn’t really bring anything new to the genre, it’s a fast-paced, action-packed read that will appeal to superhero and sci-fi fans. Love the X-Men/Captain America: Civil War analogy. That thought kept sneaking in my head while reading this book. … You had me at X-men!!! (actually you had me at military X-men vs rogue X-men! 😉), this sounds fantastic! Authors don’t always have to bring something new to the table if they can do a classic trope well! Another X-Men fan! You’d enjoy this, Nicole – fast-paced, and characters with super powers. It just released today. I agree that it’s good to see a stand alone book for a change, Teri. Thanks for the mindful review. Hugs. It definitely helps my TBR, Teagan – hugs! 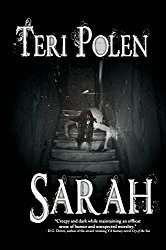 I am interested in books about the supernatural, unusual powers and such like at the moment, Teri. A nice review. Thanks, Robbie! Sounds like this might be a book for you. It may be personal bias, but I’m in favor of stand alone stories. There ought to be a mix for people to choose from. It’s really nice to come across them, Craig, but in the YA genre, so many of them tend to be a series. Pretty much everywhere I go too. It likely hurts me that I write them myself.